I had my daughter at 27 years old. Pretty good age, I would think. We have both been through tough times. She’s my best friend now and keeper of my secrets and pains. We have a relationship based on honesty. “Always be honest to momma.” I tell her. “Always be honest to me.” She replies. We tell each other the truth even if it hurts sometimes. I tell her the truth even if it means that she sees her mother, weak, vulnerable, making mistakes or major disasters. We have learned to laugh at them. I open up to her about my work, my struggles, relationships, and financials. Everything is an open book and she has her inputs about this as well. There are times when the best advice comes from her. In fact, she’s the one who reminds me that we have been through much more and survived when I hit a rough patch. I’ve been mulling over this and have seen different dynamics especially with single moms. We have heard so many times that honesty is the foundation of relationships. Sometimes we forget that we have relationships with our children. We shield them from the truth thinking that it’s best for them. 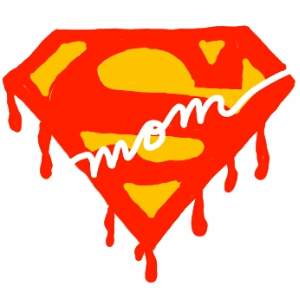 As mothers we try to present a strong facade, and portray Supermom. I think not just towards the kids but towards society as well. It’s so much easier to tell them what to do and not involving them with “things that are just for adults”. We can shut them out and they live in a bubble of video games and toys, not knowing what’s going on. We program them to think what we want them to think but these kids eventually grow up into adults, with their own thoughts and their own opinion. They turn into adults exposed to other people and experiences. Then they realize that their mother lied. They look back and realize that the man knocking at the door weekly was not the nuisance she didn’t want to see but a bill collector, the “uncle” she introduced to you was the boyfriend who broke her heart, the man who visits was not a friend but their dad, the shatter and scream you heard as a kid was not a broken mirror but was your dad hitting your mom, many small and big lies. Everything to shield the child from “adult things” At the end of the day, all contradiction and lies. We try to shield our children from truth and try to paint a picture of perfection but it can bear a lot of resentment and anger in the end. Children are little adults. They feel, see, hear, understand and want to help. They also love their mothers and the most hurtful thing for a child is knowing their mother lied to them all their life. SuperMom dies because all the kid will remember would be the lies. I plan to continue to be honest and transparent to my child. She’s 12 and is my best friend. Our relationship is based on respect, honesty and teamwork. We go through every single challenge together – win or lose. We learn from this, build a stronger relationship based on this and love each other more because of this. We mutually love each other, imperfections and all. As she goes through her teens, this bond is something we need to strengthen more than ever. I am glad I started early. What do you think about propagating honesty and transparency with your children?